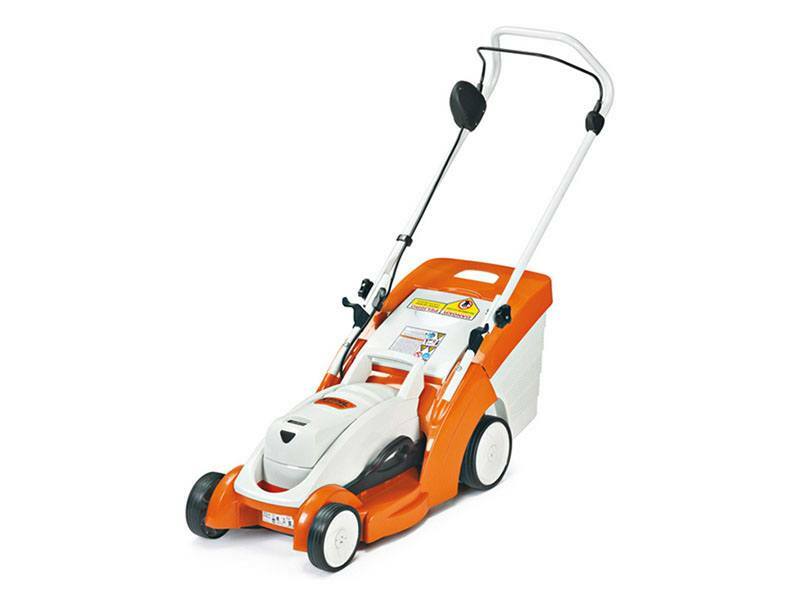 Easy, convenient and lightweight walk-behind, battery-powered lawn mower joins the STIHL Battery-Powered Equipment line-up. The RMA 370 battery-powered, walk-behind lawnmower expands the versatility of STIHL Battery-Powered Equipment. With no gas to buy or store, you’ll enjoy less mess and no fumes. Easy and convenient, the mower starts instantly – just push the button and pull the switch lever, eliminating the ache of pulling starter cords. Let go, and the motor and blade stop. It’s lightweight, easy to maneuver and much quieter than gasoline-powered mowers – making it an ideal choice for smaller yards or noise-restricted areas. By the way, did we mention it has no exhaust emissions? CONVENIENT HANDLE: Lightweight (only 27 lbs.) with folding handles, making it easy to transport and to store.